Have you ever looked at a website and been immediately turned off because of the poor design or lack of aesthetic appeal? Most people would probably answer yes. If a website isn’t mobile friendly, lacks visual appeal and is difficult to navigate, there is a high likelihood that consumers will leave the page. According to Adobe, 39% of people will stop engaging with a website if they consider the layout or content unattractive. That is why it is so important for businesses to have high quality, professionally designed websites. At Tight Line Productions (TLP) we know how important it is for a website to be engaging, dynamic, secure and easy to navigate. We have been helping businesses grow their online presence for years, and the high quality websites we design are built to increase traffic, improve conversions, and boost organic SEO rankings. We recently launched a new website for Fountain of You, an anti-aging medical center in Melbourne, Florida. This is the second website we have built for them; the first one was launched in 2012. While Fountain of You’s original site was state-of-the-art at the time, technology has rapidly advanced over the past few years in the web design industry forcing the need for modern, dynamic, and mobile friendly websites. The site consists of a newly revamped mobile section complete with a full online store. Additionally, the new site showcases bright, vibrant graphics that grab the users attention while maintaining a clean, professional and well-organized layout. The content development team worked hard on creating new unique content elaborating on the different services and products Fountain of You offers. 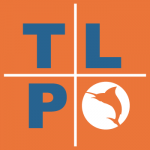 If you own a business in Brevard County and feel your website could use a makeover, TLP has you covered. We will work with you to determine what your goals are and come up with a plan based on your needs and budget. Feel free to look at some of our past web design projects. TLP is an award-winning, full service advertising agency. We have been helping clients on the Space Coast and in Central Florida grow their businesses since 1995. Our array of marketing services includes video production, graphic design, digital and terrestrial advertising, media buying and more. No matter how big or small your company is, we will work with you to find the best, most cost-effective way to reach your customers and grow your business.